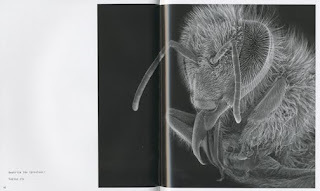 Having a six-year-old son who is an aspiring entomologist (paleontologist also tops the list), Rose-Lynn Fisher's book Bee naturally caught my attention. I hope to do a full-length review of this book for the photo-eye Magazine so I will keep the descriptions to a minimum. 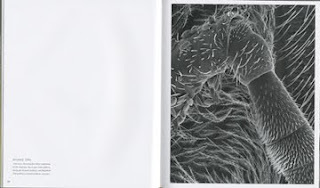 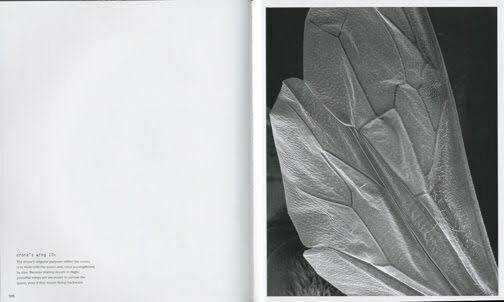 The book is segmented into chapters relating to the anatomy of the insect and within each chapter the images are arranged from lesser to greater magnification of said body part. Its simple, but well-conceived design published by Princeton Architectural Press, a company well known books of such quality, makes Bee appealing for the photobook collector and those interested in apiological studies.